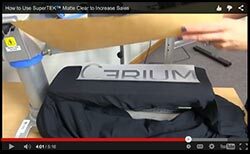 Though heat printing is ideal for customizing garments quickly and easily, finding the perfect placement and lining up graphics can be a challenge. Follow these guidelines for logos and graphics placement to get professional results every time you heat press. 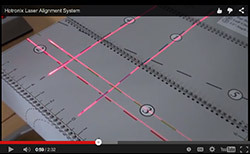 These design placement tips are intended as guidelines. 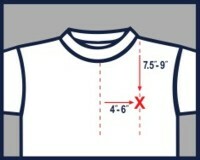 Adjustments may be necessary based on the type and size of the garment. Download and print this handy chart. 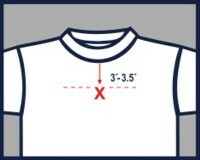 3.5" to 4" from center’s edge and 6" to 8" from the seam of the left shoulder. 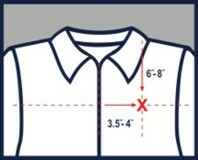 7.5" to 9" from the shoulder's left seam and 4" to 6" from the center, in line with the collar meeting the shoulder seam. Top of the design 3" to 3.5" from the bottom of neck's edging. 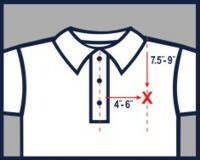 6" to 9" from the seam of the collar to the design's center. 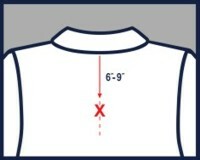 7.5" to 9" from the shoulder's left seam and 4" to 6" from the center. 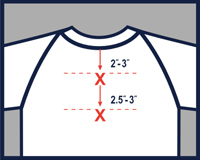 Top of the design 2" to 3" or 2.5" to 3" from the bottom of neck's edging.